Video Blog: One Visit vs. Two Visit Endodontics. Which is Better? When I get an emergency patient who needs same day treatment that I work into my schedule, that patient won’t be getting treatment done in one visit, simply because of time. I most likely don’t have the time to take the case to completion, so I’ll do more of a pulpectomy or a full pulpal debridement normally, in order to make sure the patient has enough pain control to move on with their life. The majority of my retreatments actually get treatment done in two visits – they always tend to be more infected than a tooth that’s just getting an initial root canal. Sometimes I will do the retreatment in one visit if it’s an anterior tooth that I need to get back to the general dentist right away because they need to restore it with a post and core. Or I will retreat in one visit if they’re just getting a retreatment because there’s some coronal leakage, and there’s no real periapical radiolucency, so I feel like once I just refresh the gutta percha, the case is done. So sometimes I do make an exception to the rule, but 98% of my retreatments take place over two visits. If a tooth is too symptomatic, or if the patient comes in with a lot of pain, it’s not really a great idea to do a root canal in one visit. I always want my patient to go back to their general dentist pain free. I want to control that, so if they’re feeling too bad before treatment, then I will medicate the tooth with calcium hydroxide, and make sure they can function on the tooth by the time they go back to get their final restoration. If a patient is swollen or they are draining in any way, then I prefer two visits to treat them. I want their infection to be completely resolved before I start to obturate that canal. It’s always a good idea to make sure your canals are bone dry before you obturate. If a patient is feeling me during treatment while I’m working on them, even with adequate anesthesia, I will extend the treatment to two visits. Sometimes I have every intention of filling that tooth in one visit, but if they are really uncomfortable during the procedure then I definitely want to take my time. This does not happen very often, but I don’t ever want to rush things. I think one of the beauties of root canal therapy is that you can just close it up and come back to it another day. So never rush your treatment! Always take your time and make sure your patient is pain free before they get their crown. Sometimes when a periapical radiolucency is just way too big I don’t want to rush the case because some of those cases will need some surgical intervention in between – they won’t heal with just root canal therapy. Or when I anticipate a post-operative flareup because the lesion is too large, I will do the root canal in two visits. When there is something special going on in the tooth – maybe there’s some resorption, or there’s special anatomy, like C-shaped anatomy, I will take my time and do the case over multiple visits. And the last reason is because it’s just a hard tooth. Not every root canal is going to be a slam dunk for me. Some cases that I think are going to look so straightforward on the radiograph are actually really hard when I get inside the tooth. So when I talk to a patient during the evaluation and am orienting them with their procedure, I let them know that they should expect two visits for their root canal, but hope for one. I never promise anybody one visit, although I do make it happen about 85% of the time. Root canals are SO technique sensitive and I want to take my time, and I want that patient to have quality care. I want to make sure that I never have to look back at that tooth ever again. This should be the last time that tooth is treated with a root canal. I hope you were able to take away some pearls from this, and I hope it really helps you out. If you have any questions please ask in the comments section here, and I’ll get back to you! Great information. I would agree with everything you said! Whenever I send a patient to endo I always tell them they will likely not be done the day I send them. Thanks dr. Chopra! 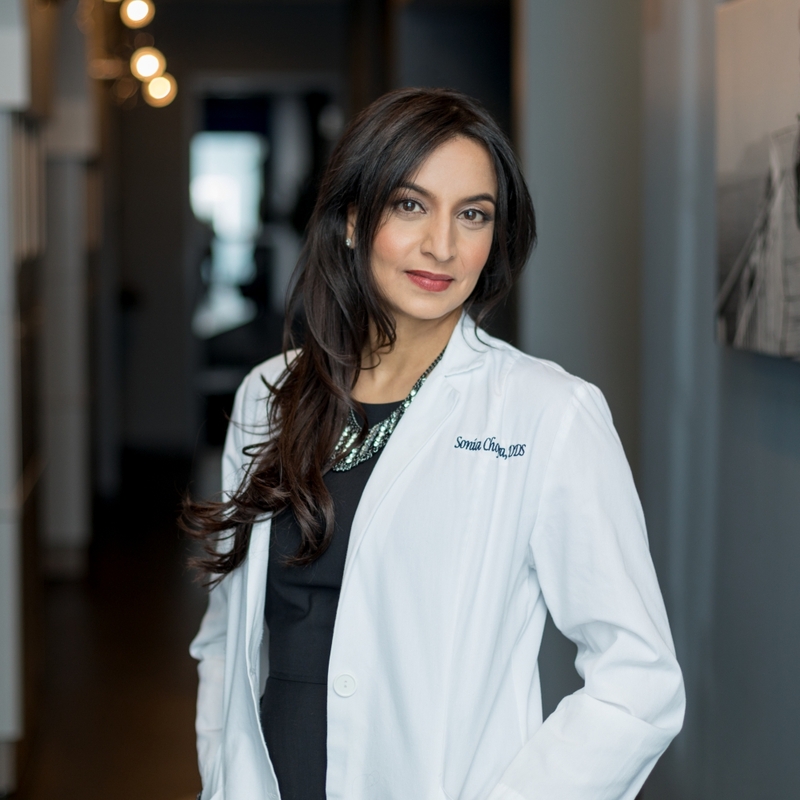 Great job Meena – you’re setting your patient up for success!